In the world of children’s toys, there are some strange combinations out there. 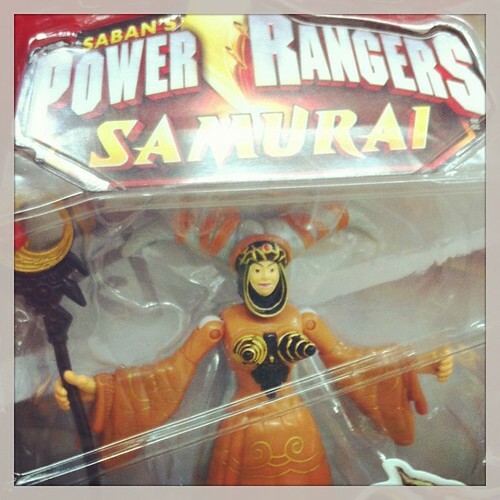 Take for instance this Mighty Morphin Rita Repulsa figure, a villain from Power Rangers Samurai. Has she been raiding Madonna’s wardrobe? Are conical bras still in vogue? What would Jean Paul Gaultier think of this? And, more importantly, what impression does this figure give small boys on what to expect in the female figure? This entry was posted in Photos, Shopping and tagged Madonna, photo, Shopping, toy, women. Bookmark the permalink.